“The School of Athens” is an ambition; a utopian vision of a free, open, informal, and common space for learning. It is an in-between space. Neither inside nor outside, not quite a room, but also not simply a space for circulation. It is monumental, but also generous, and almost casual. It is not a classroom, and yet we see scholars and students debating, teaching, and studying. Although we typically think of learning taking place in the classroom, educators and architects have recognized for thousands of years that learning also takes place in the space between; in the hallways, on the stairs, at the café, in the quad. Socrates taught in the Agora. Plato founded his Academy in the olive grove outside of Athens and often taught while walking. Medieval colleges were organized around a communal courtyard. 20th century universities are filled with informal learning spaces often associated with circulation, and today there is a particular fascination with designing staircases, or stepped seating spaces, as the main architectural feature of an academic commons. 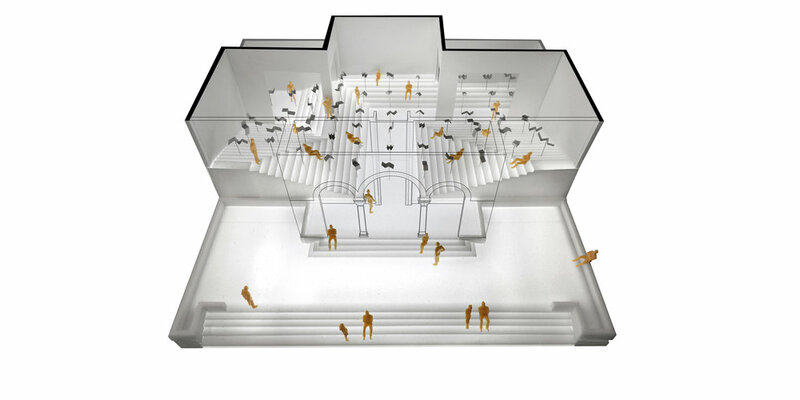 Inspired by Raphael’s famous fresco, “The School of Athens” exhibition at the Greek Pavilion considers these academic common spaces as architectural specimens; objectively identified, classified, and made legible for analysis, comparison, and debate. 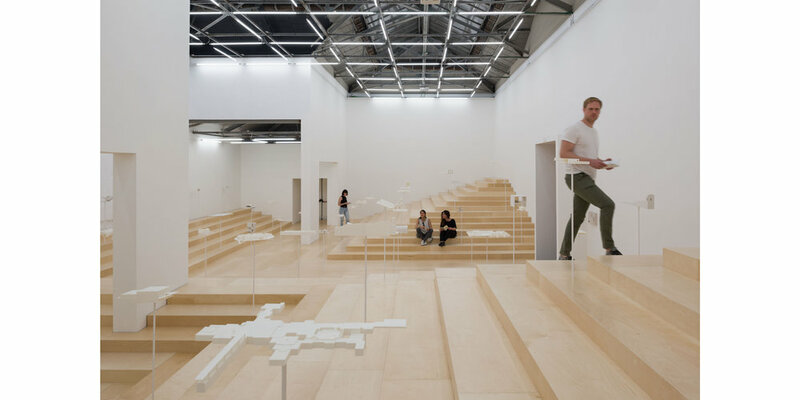 Specifically, the exhibition showcases physical models of fifty-six different academic common spaces from across history and around the world, both realized and unrealized. By no means canonical, complete, or definitive, this selection is simply meant to provide a diverse and representative sample of compelling projects.